Onedrive allows you to automatically save screenshots with just hitting Printscreen key. Now, if you have synced the pictures folders in your pc with onedrive, it will automatically be saved in cloud on onedrive.live.com. Now, for those windows users who use printscreen key a lot and frequently capture and share screenshot, this is very helpful feature. Printscreen will not only capture but also save screenshots in your onedrive folder in your PC. If synced they will be saved in onedrive live account in the cloud also. Now, lest see how to turn on this setting. 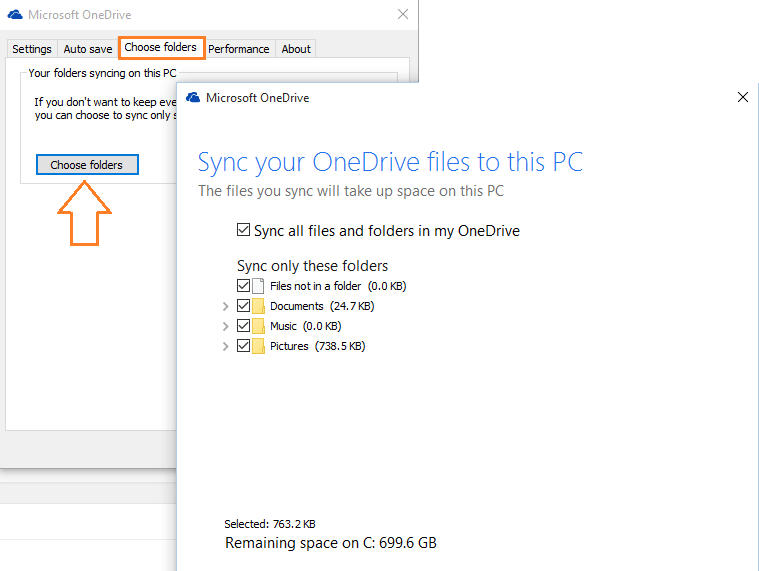 If you have not setup onedrive, do a quick setup of onedrive on your computer. 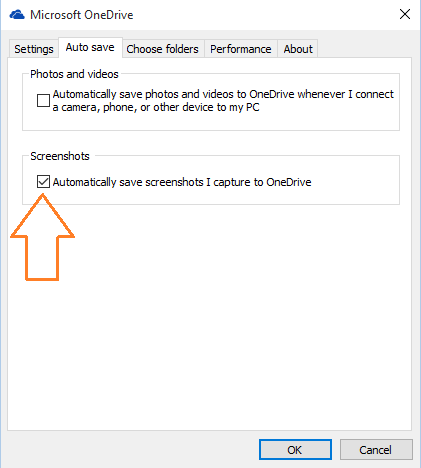 Once onedrive setup IS complete on your PC, follow given steps below to enable auto save screenshots in onedrive. 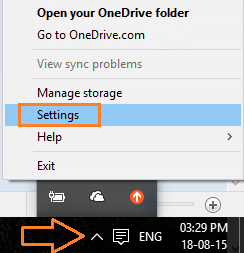 Step 1 – just right click on onedrive icon in the taskbar (extreme left) and click on settings. Step 2 -Once you click on settings. click on second tab Auto Save. 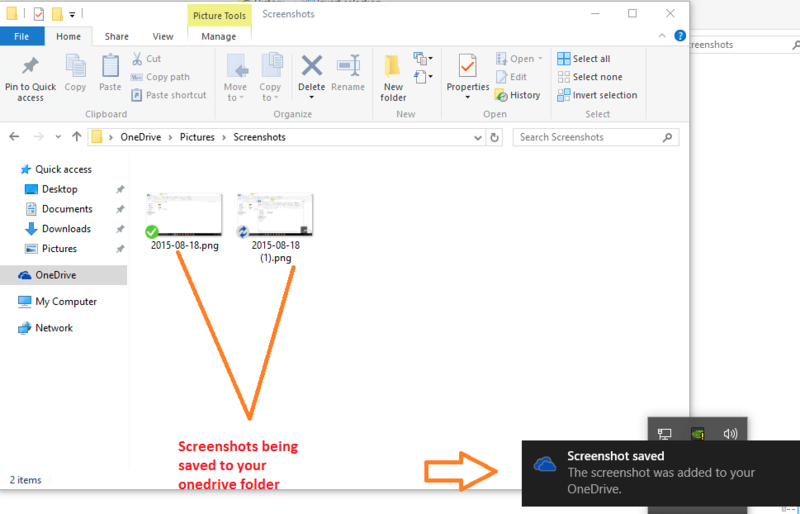 In this tab area, just check the box saying auto save screenshots I capture to onedrive. You can also access onedrive via file explorer in the right menu, or browsing to dektop or clicking the onedrive icon in the taskbar. The green tick mark icon shows, the screenshot picture was synced on onedrivelive.com and saved in the cloud. The blue refreshing icon shows, the syncing is in progress. 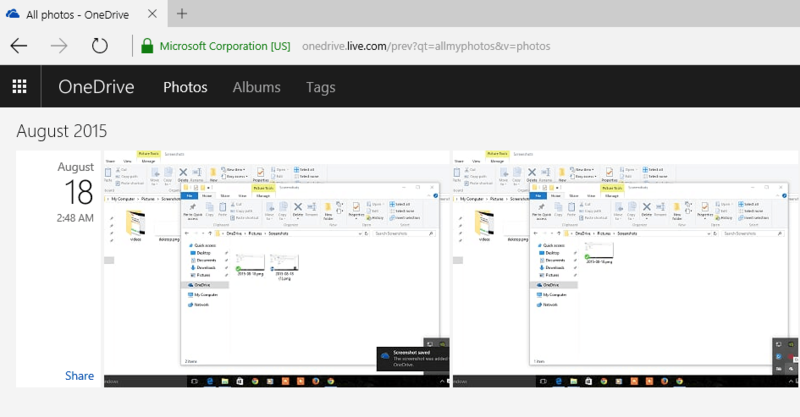 Now, go to https://onedrive.live.com and you will see that your screenshots are there in addition to your pc. Note: – Make sure that folders are synced with onedrive live account. To check which folders are currently synced, just click the third tab (Choose folders) in the settings window of one drive.